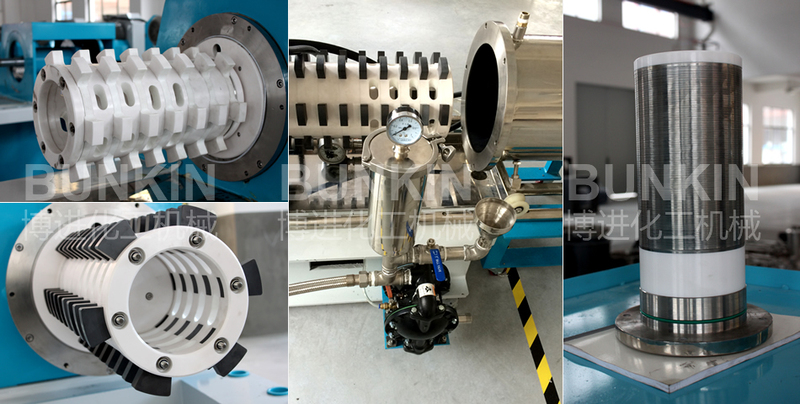 Hi-Efficiency Horizontal Bead Mill_Anhui Bunkin Chemical Machinery Co.,LTD. Applied materials: Suitable for ceramic ink, colorants, lithium battery pastes, thermal paper pulp, electronic slurry, Nano pigment etc. 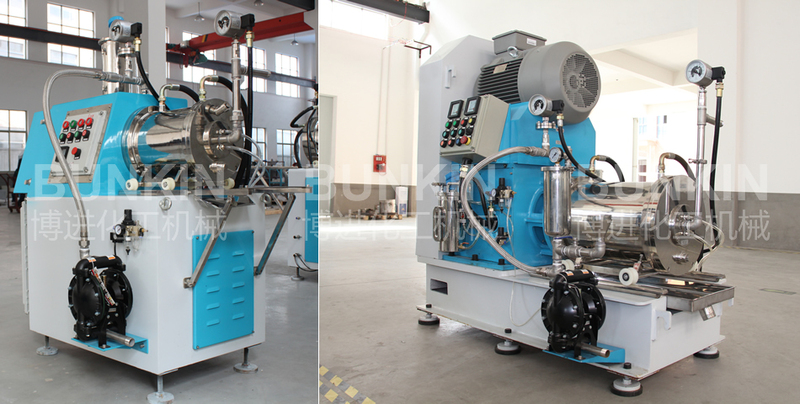 WSNM type of horizontal bead mill is an high efficiency wet process grinding machine to reduce particle size to nanometer ranges for low and medium viscosity range, wide range of fineness grinding requirements of paints, coatings, inks, pigment dispersion and others. Application Fields: Suitable for ceramic ink, colorants, lithium battery pastes, thermal paper pulp, electronic slurry, Nano pigment etc. The delivery pump circulates the material from the tank to the grinding chamber. The disc drive the grinding beads and material to handle irregular movement and friction hardly, so the material can be reduced particle size after milling when they passed through the separation screen. 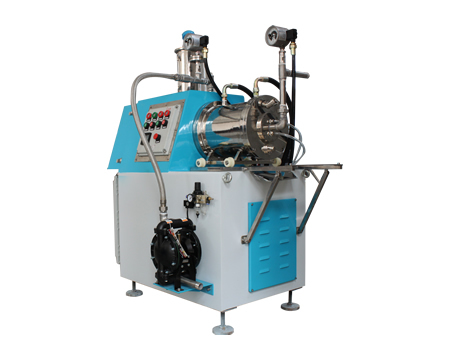 Adopt turbo static centrifugal separation system, and minimum use 0,1mm beads. Special designed cooling system not for the stators of the chamber but for material discharging area. Static separation screen is made of SS304, and the gap can be designed suitable for 0.1mm beads operation, the separation is turbo static centrifugal system. Rotor material use Zirconium Oxide, hard alloy and inside grinding chamber is made of SiC and outside chamber is made of SS304.